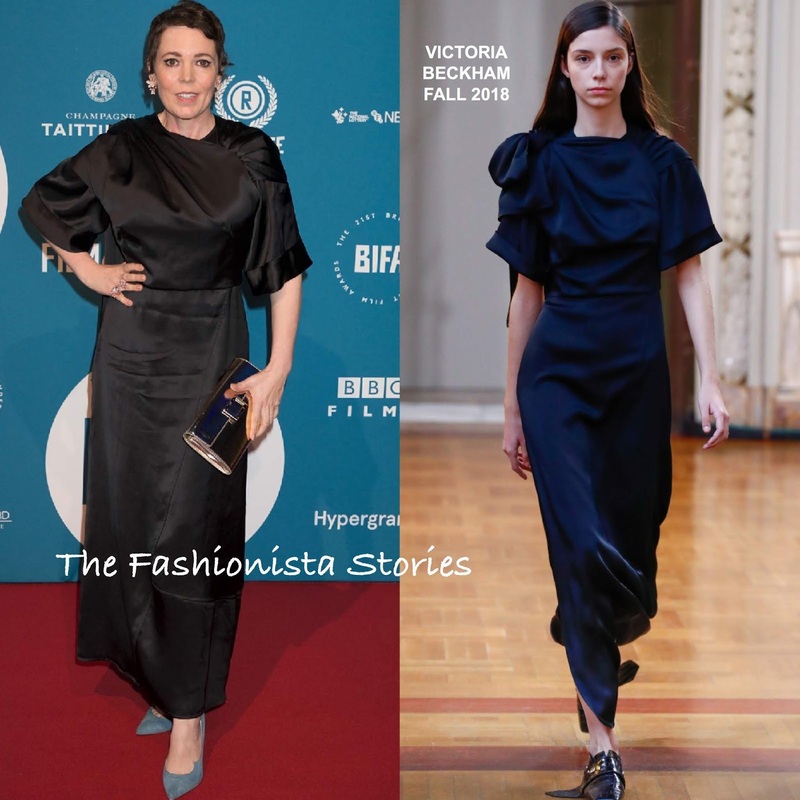 Olivia Colman was on the red carpet yesterday evening(December 2nd) for the 21st British Independent Film Awards at the Old Billingsgate in London. Olivia is not one to really wear color on the carpet, so this black VICTORIA BECKHAM FALL 2018 dress is no surprise for her. However the issue that I am having here, is that the dress is not flattering on her. Also the creases are not helpful and the accessories don't coordinate together. Statement earrings, minimal makeup and a short layered cut finished up her look.